The “Oh no!” letters started arriving in my inbox late last month: Ichiban, one of old Japantown’s cafe stalwarts, wasn’t long for this world. For those who knew and loved the place — where the Japanese homestyle fare was a draw and the menu famously offered “No Sushi!” — the loss of the tiny mom-and-pop shop at Sixth and Main is another unfortunate International District-restaurant casualty. Today those fans will have to take their appetites elsewhere: perhaps around the corner to Seattle’s oldest Japanese restaurant, Maneki or down the block to another teensy family-run favorite Tsukushinbo. Ichiban, no longer “number one” for its longtime fans. 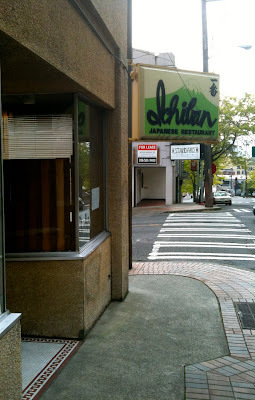 Unlike China Gate, now vacant (after standing 30 years before closing its doors unexpectedly this spring) Ichiban did not turn out the lights without prior notice when it closed May 25. Owners Koji and Mayumi Ogawa made their intentions known, posting a letter to patrons in early May, thanking friends and longtime customers for their patronage and acknowledging their inability to resolve “numerous issues with the landlord” concerning the space they’ve inhabited for 27 years. They have no plans to reopen elsewhere, they say, and instead will take some time off before pursuing other ventures. Farewell, and many thanks, say Koji and Mayumi Ogawa. As a frequent visitor to the ID, and a Japanese food-lover of the first order, I’m loathe to admit I’ve never crossed Ichiban’s threshold, favoring instead the aforementioned old-school Japanese joints.